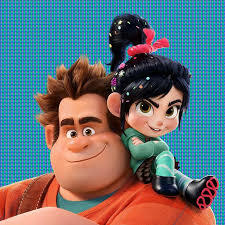 The group, Imagine Dragons, wrote the song Zero for the new Wreck it Ralph movie. The song is about high functioning depression. The lyrics paint a picture of what it's like going through life feeling like your nothing, feeling empty and worthless. The lyrics express the feelings of despair, while at the same time the upbeat music of the song allows us to have some hope. When we are depressed, we don't want to be. The worst thing you can say to someone who is depressed is, "Try to feel better." Of course they want to feel better. We want to have a better day. We want to be happy. We want to feel better, enjoy life, smile more, and make others happy. But we feel worthless, empty, like a zero. There's nothing that can make us feel differently. Yes, we can take medication that helps, and we should never discourage each other to do so. But there's more than just feeling better and getting through the day with less pain. The song's chorus sings, "Like I’m empty and there's nothing really real, real I'm looking for a way out." When we are depressed and feel empty, unsatisfied, then we feel like nothings real. When we are depressed we feel like people's love for us is forced, joy is fake, and a good life isn't real but just make believe. How do we get a way out? Well, some take a dark road of substance abuse, or, in the case of many, they take their own life because they need that way out. But, what do we have in the church? We have the depressed one, The Biggest Zero to ever walk the planet, Jesus the Christ. Jesus the Christ became the biggest ZERO for us and on the cross cried out, "My God, My God Why have You forsaken Me." Jesus emptied Himself and felt only the wrath of God for us. He experienced our worst feelings, our darkest emotions, and our cloudiest days. Jesus experienced our depression and anxiety. Jesus experienced our despair. He is our way out. His love is our way out of despair and the feeling of emptiness. Jesus' mercy, love, and forgiveness is our way out of feeling like nothing is real. Jesus is real. He love is real. His forgiveness is real. The heaven that He has prepared for you is real. And Jesus is real in our love for each other in the church today. When we are anxious and depressed, church is the last place we want to go to. May the devil hush up then, and may we know that the church is the one real place where we can deal with the real feeling of being empty and alone. It doesn't mean that when we leave church we aren't depressed anymore, but rather that we know others are going through it with us as we all receive and share the love of Jesus. We aren't empty. We aren't zeros. We are real people, who have real burdens, who have real love for each other in Christ Jesus our Lord. So, if you're feeling like a zero, empty inside, as if nothing is real. Come and receive the real Jesus who truly loves you. Come and be surrounded by real sinners, who are real saints, who really need your love and who want to love you in return. Peace be with you. May the devil be silenced, the world be hushed, and the Old Adam be drowned anew so that you hear only the peaceful voice of your Savior Jesus who says, "I forgive you. I love you. I claim you as My own forever," Amen. Welcome to Zion's Pastors' musings, latest newsletter articles, and blog posts. Please enjoy and feel free to comment or share.